WHILE the nation awaits the final outcome of the weekend federal election amid the possibility of a hung Parliament the result is done and dusted in the Isaacs electorate. 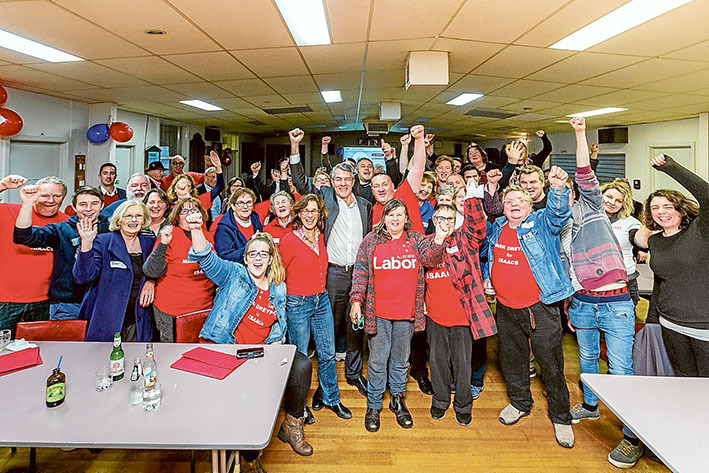 Labor MP Mark Dreyfus, shadow attorney-general and spokesperson for the arts, has been re-elected and his winning margin increased from 3.9 per cent at the 2013 election to 5.8 per cent with about 79 per cent of votes counted by the Australian Electoral Commission on Tuesday. Mr Dreyfus had faced anti-sky rail protests despite the Frankston line level crossings removal project being the responsibility of the Labor state government but Isaacs voters followed the nationwide trend of a swing to federal Labor in the 2 July poll. 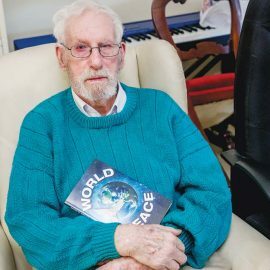 “I am honoured and humbled to be returned as the representative for the great electorate of Isaacs,” Mr Dreyfus said. “It has been a long election campaign and I look forward to keeping up the fight to make sure that the interests of our community are looked after. “Local residents care about funding for schools and healthcare and this showed through in the results on election day. The Isaacs electorate covers Mordialloc, Edithvale, Chelsea, Carrum and Carrum Downs and includes parts of Keysborough, Noble Park and Dandenong. Liberal challenger Garry Spencer, who had hoped to unseat Mr Dreyfus at the second attempt after eating into the sitting member’s margin in 2013, noted the swing to Labor in Isaacs was about 1.75 per cent less than the national average “largely due to sky rail” and thanked his Liberal Party supporters and voters who backed him. “I congratulate Mark Dreyfus on winning his fourth election in Isaacs,” Mr Spencer said. He believes Labor will lose the seats of Mordialloc, Carrum and Frankston at the next state election if rail under road is not the preferred option for level crossings removals on the Frankston line. While the Isaacs result was resolved on Saturday evening, neighbouring Dunkley remains tight and is one of several seats around the country that will decide whether the Coalition holds power, Labor wins government or a hung Parliament will be the outcome. Liberal candidate for Dunkley Chris Crewther declared victory on Saturday night but the count has tightened since then but it is still likely that he will see off the challenge of Labor’s Peta Murphy after absentee and postal votes are tallied by the AEC. Former small business minister Bruce Billson retired from politics after holding the seat of Dunkley – stretching from Frankston into Langwarrin, Skye and parts of Seaford and Mount Eliza and Mornington – for two decades and held a 5.6 per cent margin at the 2013 election. A 5 per cent-plus swing to Labor there means the Liberals face a fight to keep a hold on the seat at future elections even if Mr Crewther gets over the line.